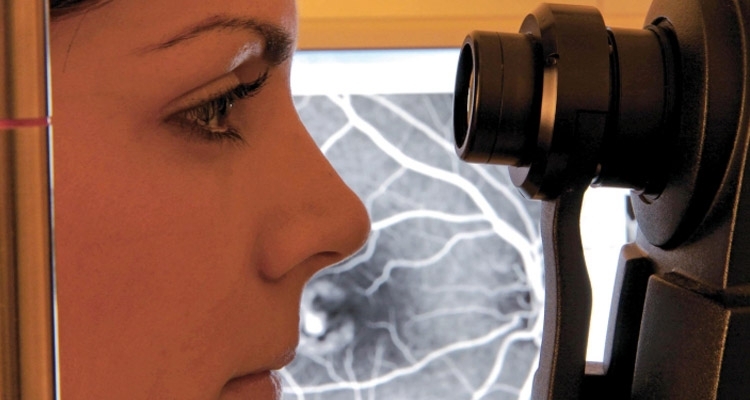 Stargardt’s disease is early degeneration of the retina with a genetic cause. It is habitually diagnosed in the under-20s. The macula, the part responsible for central vision, is affected and vision is lost in this area. The sufferer, as in AMD, cannot read, drive or distinguish a face in detail. If vision loss is incapacitating for the elderly, it is even more serious when the sufferer is young, professional and socially active because the disease will hinder his or her activities. This disease is hereditary and therefore if there is a family history it is wise to be attentive, even though this does not mean that the disease is sure to manifest itself. Approximately 90% of cases are transmitted in an autosomal recessive manner, i.e. both parents must have the affected gene and this is often very hard to establish. In this case, the possibility of a boy or girl having the disease is 25% and it should be remembered that 10% of cases, with a family history, are of dominant inheritance. As it is a recessive gene, the family history of the disease may not be known or available. This is why it is necessary to pay special attention to the initial symptoms e.g. if children or adolescents find difficulty in reading or watching the television. At these ages, it is a good idea to explain the pathology to them so that they can be made aware of what will happen to them, can adapt to the situation and can lead a happy life. Stargardt’s disease causes out-of-focus vision that lacks sharpness. This makes it difficult to recognise faces and read both nearby and at a distance. As a result, colours with a similar shade (for example, red and green or blue and yellow) look alike. A good knowledge of the disease helps sufferers to understand what is happening to them, adapt their lives to the new situation and take some recommended measures like using sunglasses with u/v protection and avoiding supplements that contain vitamin A. In the field of research into treatments for this disease, science is progressing. The clinical trials and European projects in which the Barcelona Macula Foundation and the Institut de la Màcula participate in collaboration with leading international research centres are essential and lead to hope that the disease may be treatable in the future.